Offering a strong knowledge of the contemporary art scene Sofia Sokolov has an academic and professional background encompassing a Masters Degree in Art History / Cultural Studies as well as Curator Certification in Duesseldorf, Berlin and Tel Aviv. 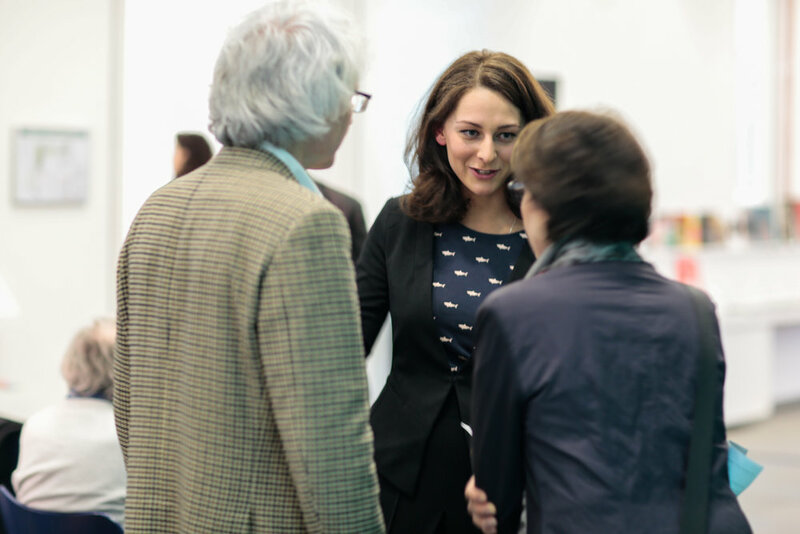 Combining a passion for art with organisational and technical acumen, Sofia contributed to successes and ventures for Galerie Voss in Duesseldorf, City Museum Duesseldorf, Tel Aviv Museum of Art, and Janusz Korczak Academy NRW. Sofia speaks English, German, Russian, and Czech. Since 2017 Sofia has lived in Munich, where she works on her PhD, analyzing Joseph Beuys influence on contemporary Israeli art. Munich is well-known for its good reputation in the art world. The city provides a lively contemporary art platform through it's newly built museums and art spaces, which attract art-lovers and art-collectors from around the world. The Museums platform offers a huge program in three Pinacotheques: Old Pinakothek, New Pinakothek, and Pinakothek der Moderne. The last one was built to contain four major museums under one roof and is one of the largest museums in the world for art, architecture and design of the 20th and 21st centuries. In addition to its museums, Munich has outstanding private collections, such as the Goetz Collection and the Brandhorst Museum. Young art can be found in many famous galleries such as Galerie Christine Mayer, Bedorah Schamoni, Nir Altmann Galerie and a new art-project, LOVAAS. Sofia prepares and curates tours specifically for each individual or group, within tours of museums, galleries and artist studios in Munich. Together, we enter into a discussion of contemporary art, we learn how to read the language of art, and how to reveal the symbolism behind it. The Isar River is Munich’s number one recreational area! Numerous areas along the riverfront invite you to linger and enjoy the views, while the river, that gets its start in the Alps, is a real paradise for cyclists, barbecue lovers, fans of beer gardens, water lovers and walkers. This square is one of my favorite places in Munich, which was built in the style of European Neoclassicism in the 19th century. Nowadays it's a center of cultural life. The area around Königsplatz is a home for art life - Munich's gallery and museum quarter are all based here. The best place to eat fresh and tasty food in the city center. Over the years, the market has evolved from a farmer's market to a popular market for fresh food and delicatessen. It offers exotic ingredients that are not available anywhere else in the area, and is renowned for its diversity and size. My favorite Coffee place where you can work with a laptop, drink a fabulous coffee, relax and think about life and the future. Arguably the best rooftop view over Munich, on a clear day you can see the Alps silently towering above on the horizon.